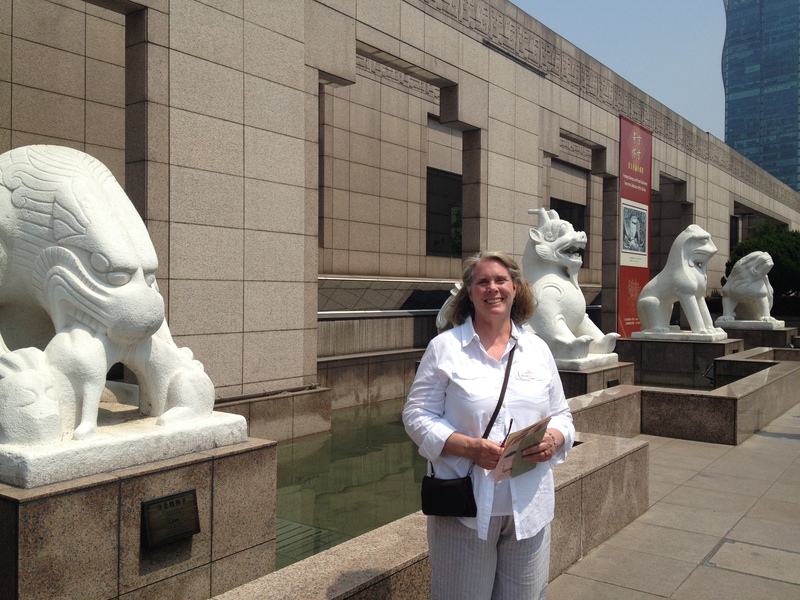 We began today with a visit to the Shanghai Museum. It is one of the best museums we have been to. It has galleries devoted to bronze, ceramics, calligraphy, painting, sculpture, jade, ivory, currency, bamboo, wood, lacquer ware, and more. We saw only about a quarter of it. We visited galleries devoted to furniture, painting, and minority arts and crafts. Then Robin went to the jade gallery and I checked out currency. It proved to be case after case of round coins with square holes in the middle that allowed the coins to be strung together for ease of carrying. Most interesting was the earliest money, which was rather large and shaped like axes and other tools — hard to carry around in one’s pocket. After the museum we visited one Shanghai’s many gardens. 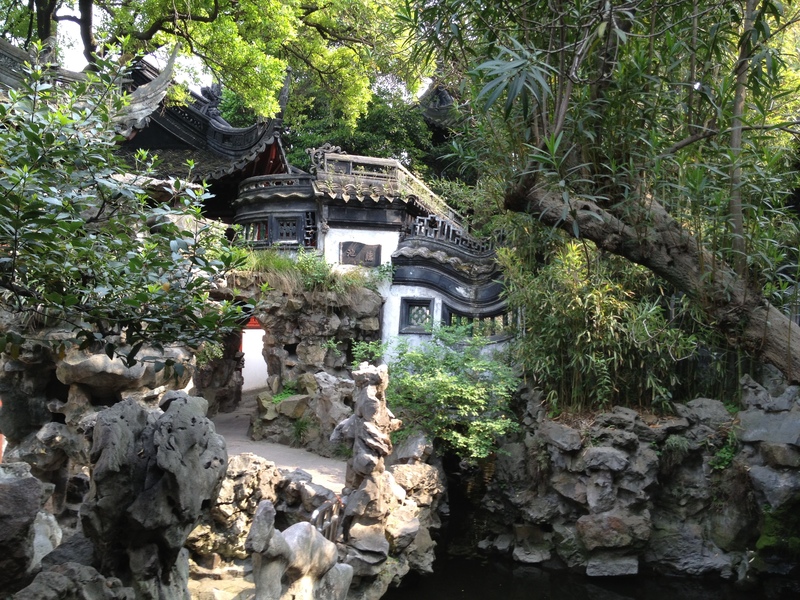 A Chinese garden comprises four major elements: water, rocks, plants, and structures. This one seemed very peaceful even though there were a lot of people there. 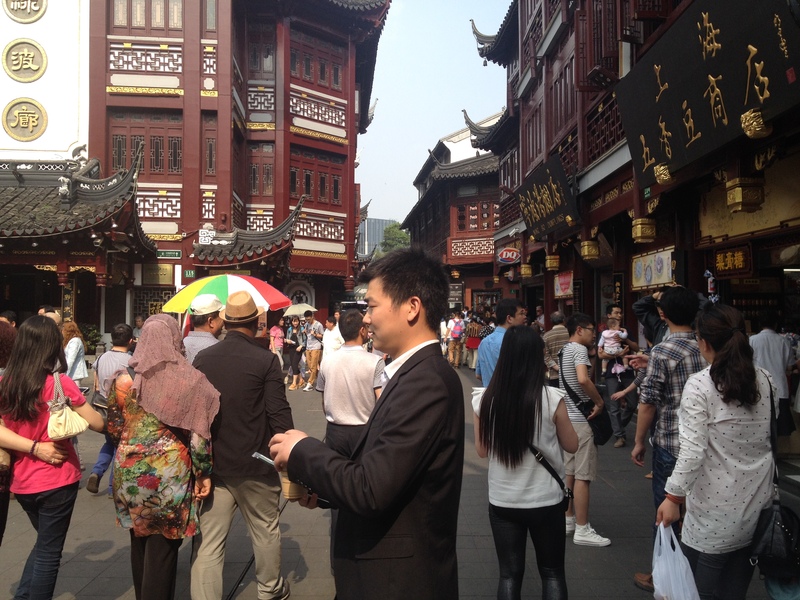 We spent a little time wandering around a bustling shopping area that was adjacent to the garden. We wanted a snack so we got some ice cream from Dairy Queen for a small touch of home. In the evening we went to see an acrobat show. The show included not only also acrobats who did amazing feats but also a magician, comedians, and other acts. It was arguably the best show we’ve seen here. There’s a brief snippet below. Tomorrow most of our group heads for home, but we have two more days in Shanghai.